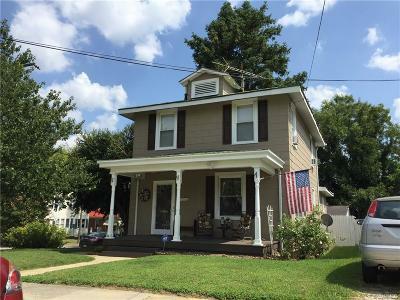 $156,0000 COLONIAL HEIGHTS-You will fall in love with this home which as been updated with many new upgrades. The amazing feature is the 18' x 22' kitchen with lots of cabinets, large eating area under picturesque window. Carpeted living and dining, 3 Brs, 2 full baths and large utility. Replacement windows, ceiling fans throughout plus outdoor security lighting. Just painted. Also a 12 x 24 garage! Make an offer-owner will consider negotiations.